Art Week Hong Kong starts in less than two weeks, with Art Central being a major part of it. Taking place from 23 to 26 March 2016, this year’s fair will bring together the next generation of talent alongside some of the most established names from across Asia and the globe, in the city’s largest bespoke temporary structure right in the heart of Central Hong Kong. 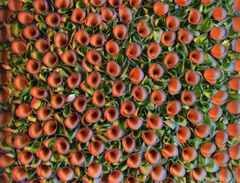 More than 100 galleries will present their works at the fair, among them will be REDSEA Gallery from Singapore (at Booth D17), presenting works by Zhuang Hong Yi, Johnson Tsang, Val, and Cha Jong-Rye. TALKS X ASIA SOCIETY features five days of engaging and topical panel discussions. 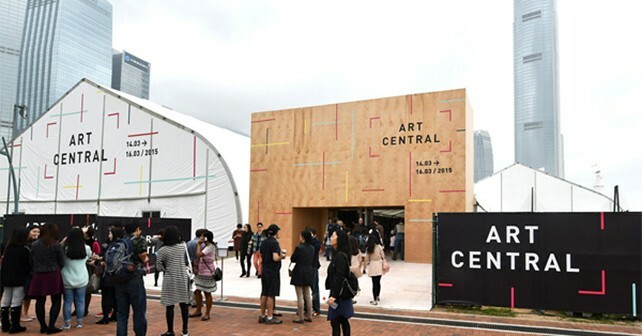 The program will explore contemporary art making from new-media and technology to the traditions of print-making as well as give an insiders’ guide to Hong Kong’s art scene. Speakers include DR ALEXANDRA MUNROE (Asian Art and Senior Advisor, Global Arts, Solomon R. Guggenheim Museum and Foundation), DR KARIN G. OEN (Assistant Curator of Contemporary Art – Asian Art Museum San Francisco) and multi-award winning artist SHEN WEI. Art Central’s inaugural film program, SCREEN X EXPERIMENTA, features a curated collection of experimental and narrative films from across Asia and the world. ROUNDTABLE X 4A is an interactive series of discussions, interviews, presentations and performances hosted by 4A Centre for Contemporary Asian Art, and staged for the duration of the fair. Art Central offers the opportunity to purchase general admission tickets at over 50% off for all SAGG readers.